The Medi Mediven Active Class 2 Grey Compression Socks for Men come from Medi, one of the UK's leading providers of compression garments. The Medi Mediven Active Class 2 Grey Socks for Men are robust, hardwearing and super durable for active feet. Barely recognisable as a compression garment, the Medi Mediven Active Class 2 Grey Socks for Men have a fine ribbed look and many practical features. 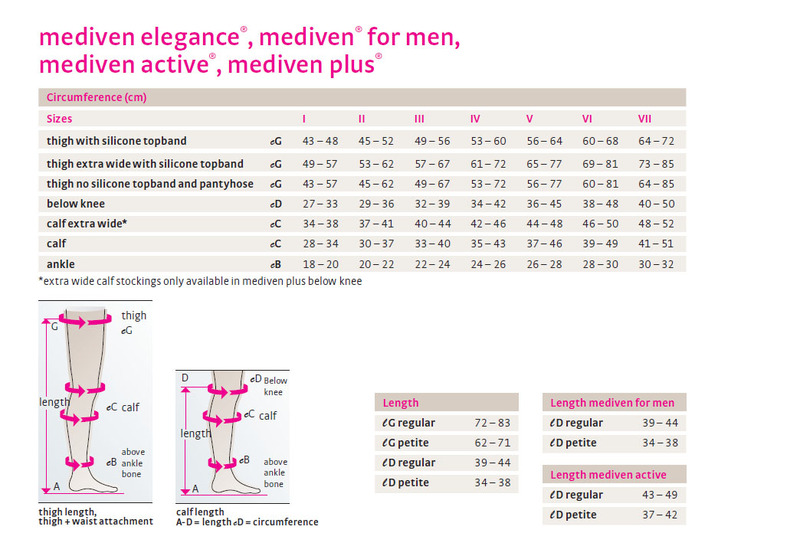 Medi Mediven Active Class 2 Grey Below Knee Compression Socks for Men are non-returnable and non-refundable on grounds of hygiene. Mediven Active Compression Garments should not be used with the certain conditions, please see the information below to further decide suitability. ​We strongly urge anyone uncertain of their suitability for these stockings to check with a medical professional before purchasing.